The tone of this poster reflects the anti-Germanisation spirit typical in the 19th century. 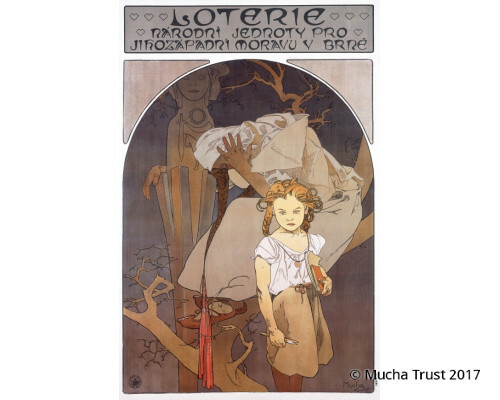 The lottery was one of the methods used for raising funds for education in the Czech language. 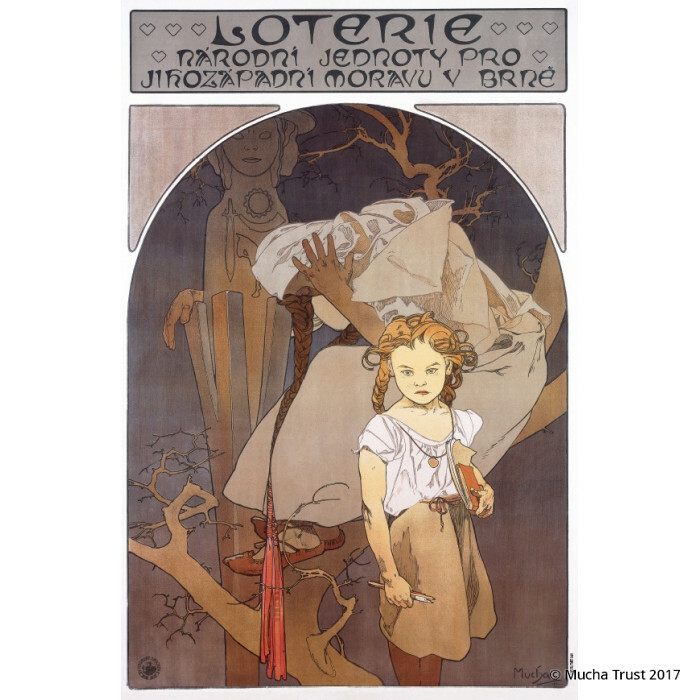 The poster features Czechia, a symbolic mother of the Czech nation, sitting in despair on a dead tree, her hand resting on a wooden statue of the three-faced pagan god Svantovit, the protector of the early Slavs. The schoolgirl, carrying books and pencils, gives the viewers a reproachful look, demanding support both for her education and for the ailing Czechia.